The Viscount Range Basin Taps, this perennial favourite collection of basin taps and bath shower mixers capture the aura of a bygone time. Using high quality chrome and brass, these taps and showers will ensure many years of trouble free use and enjoyment. As described and good value. 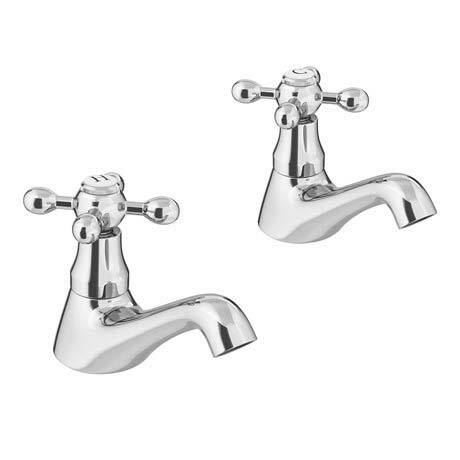 Bought these taps to replace cheap Wickes taps that fell to bits and leaked. These were easy to fit, look perfect and we have had no problems whatsoever since fitting them. The quality of these taps is of a very high standard. They feel solid, look stylistically great and are amazing value for money! Excellent value. Easy to order and swift delivery.